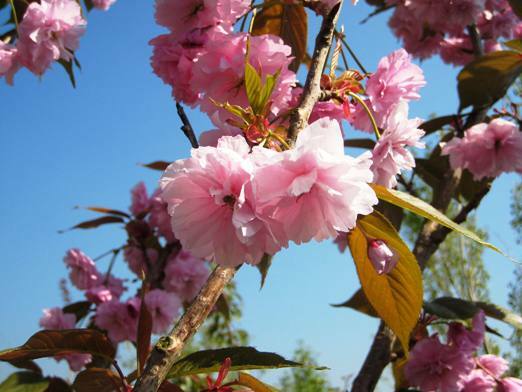 12' A brand new Japanese Flowering Cherry from extensive trials of new seedlings in Japan. Outstanding for its very large, fringed deep pink flowers which adorn the elegantly spreading branches to great effect. Young leaves coppery bronze, long flowering season. A new variety of immense quality and great beauty with its particularly large, frilly blossoms and effective habit. Highly Recommended.